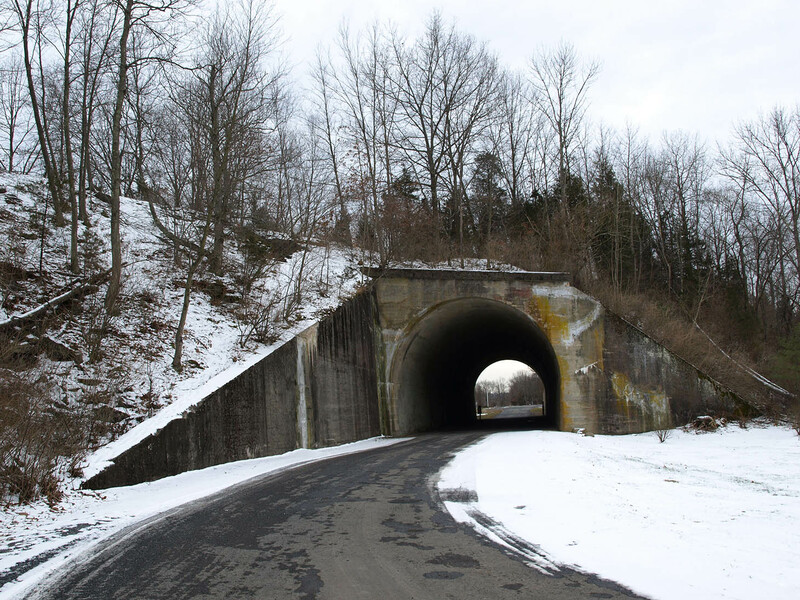 In December of 1911, trains began crossing the Paulinskill Valley over massive archways built from more concrete than any other structure in the world contained. 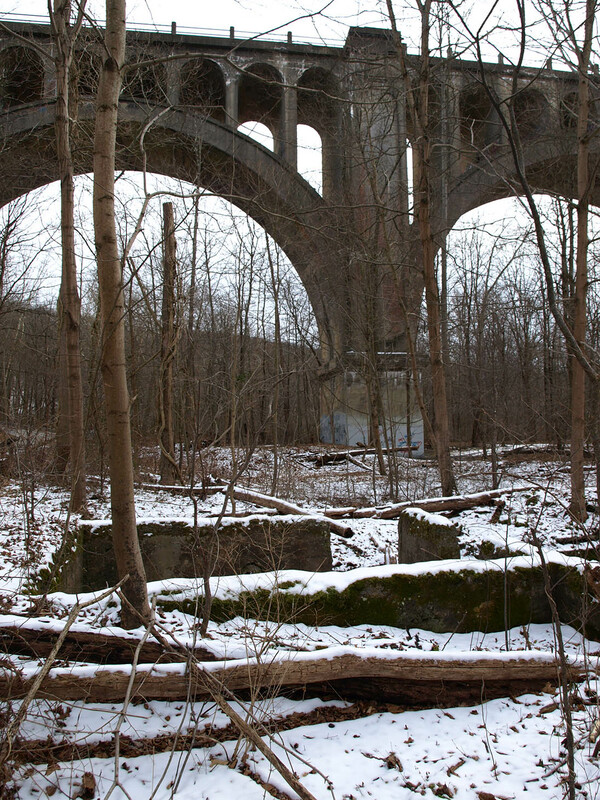 Today the Paulinskill Viaduct towers over the valley below as a monument to railroad engineering. The Viaduct was part of a massive project to more efficiently move passengers and freight across northern New Jersey. The Delaware, Lackawanna, and Western Railroad Company was formed in 1853 when two Pennsylvania railroads consolidated. Its primary purpose was to haul anthracite coal from the Scranton, PA area to connections in New Jersey, but it expanded into carrying other freight and passenger traffic. The DL&W’s 1869 takeover of the Morris and Essex railroad extended its line to Hoboken, just across the Hudson River from New York City. In 1899 William Haynes Truesdale became president of the company. He had been a railroad man all his life, starting as a clerk in a Midwestern railroad company. Truesdale launched an ambitious program to modernize and improve the company’s infrastructure and equipment. One of Truesdale’s concerns was the corridor between Port Morris, New Jersey, and the Delaware River. The 40 mile trip included numerous curves, some of them very sharp for a railroad, as well as steep grades that were expensive to haul coal over. A cut-off route was planned that would shorten the trip to 28 miles with only a few gentle curves, and a total rise and fall of only 11 feet. 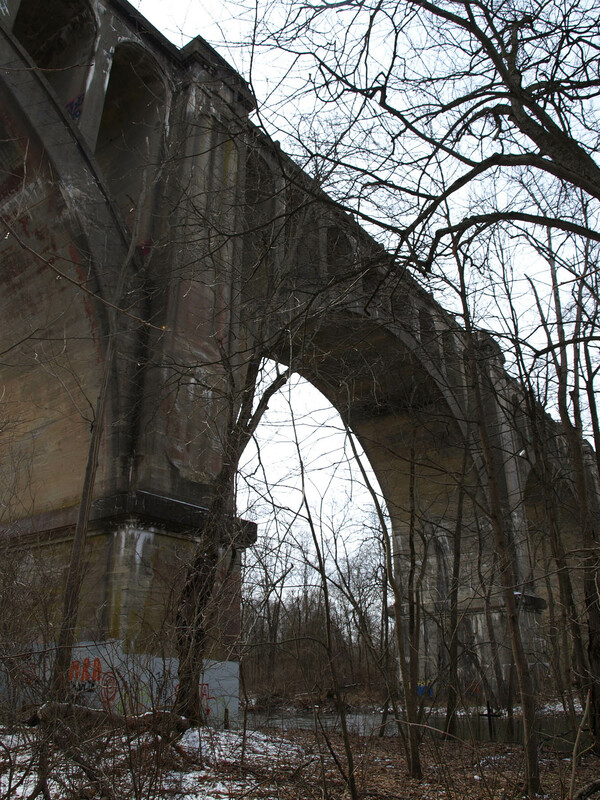 DL&W’s chief engineer George J. Ray outlined the Cut-Off plan, but there is disagreement over whether Ray or one of the concrete engineers is most responsible for the design of the viaducts. The Lackawanna Cut-Off was built in seven sections under seven different contracts, at a total cost of $11 million. Construction began in August 1908 and the first trains rolled through in December 1911. The Cut-Off pioneered the use of reinforced concrete in railroad construction. 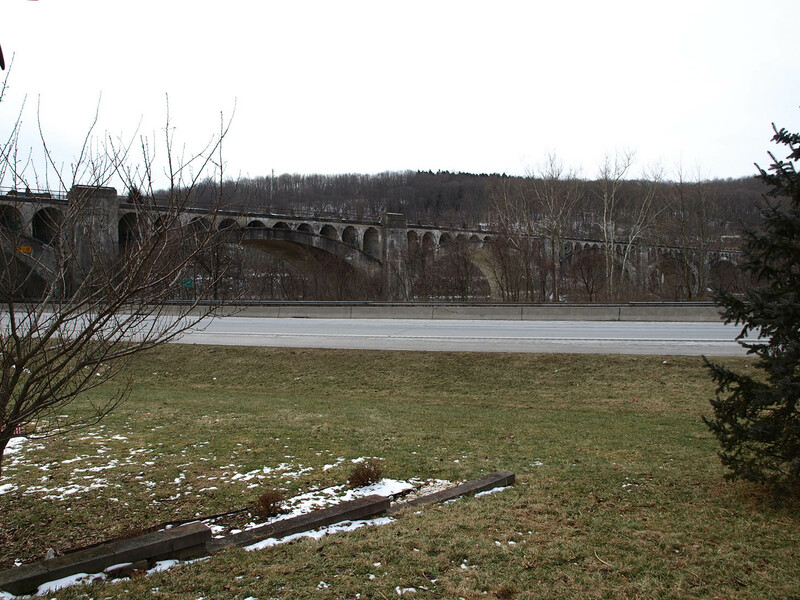 The Paulinskill Viaduct is 1100 feet long and spans seven arches 117 feet above the valley. 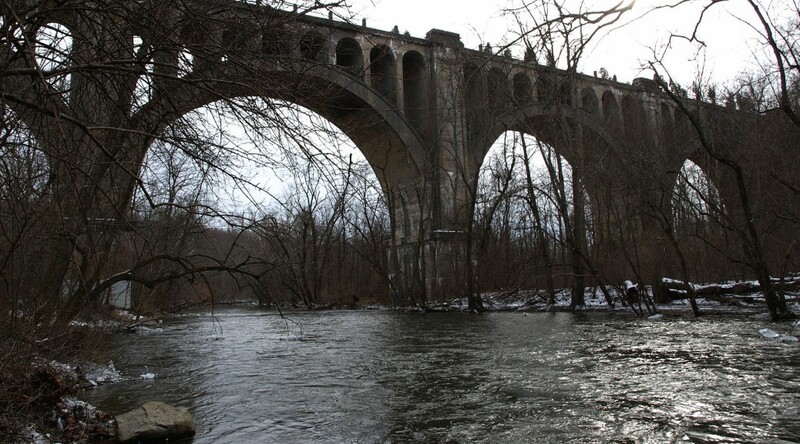 When the Viaduct was built, it crossed over another company’s railroad that passed along the river. The foundations of their station and nearby buildings can still be seen. 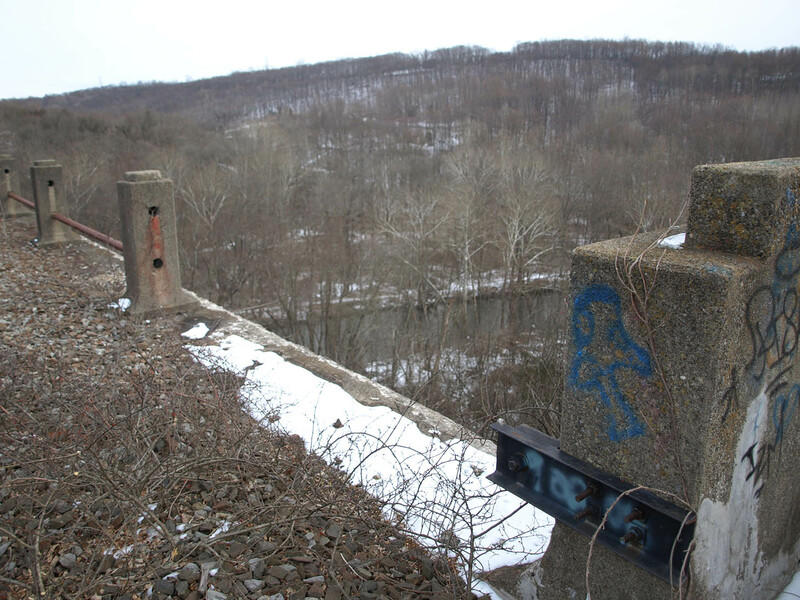 The Cut-Off later fell under Conrail’s control and was abandoned in 1979. Its tracks were torn up afterward. Guardrails aren’t guaranteed either. Passages in the rail bed lead to inspection and maintenance tunnels. 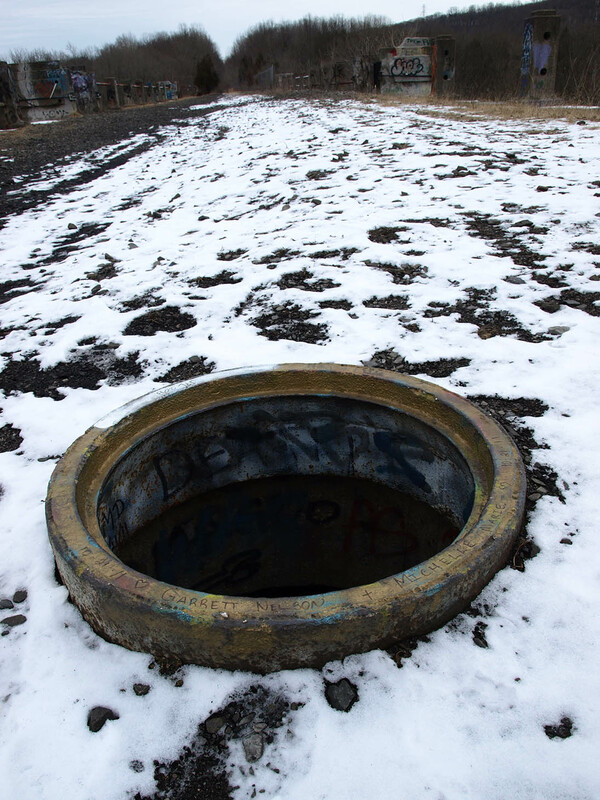 Naturally, the tunnels are now full of graffiti – as well as satanic rituals and spirits of the dead, depending on which folklore you choose to believe. Massive amounts of fill were needed to keep the Cut-Off at a gentle grade. Tunnels were built to cross through the fill. 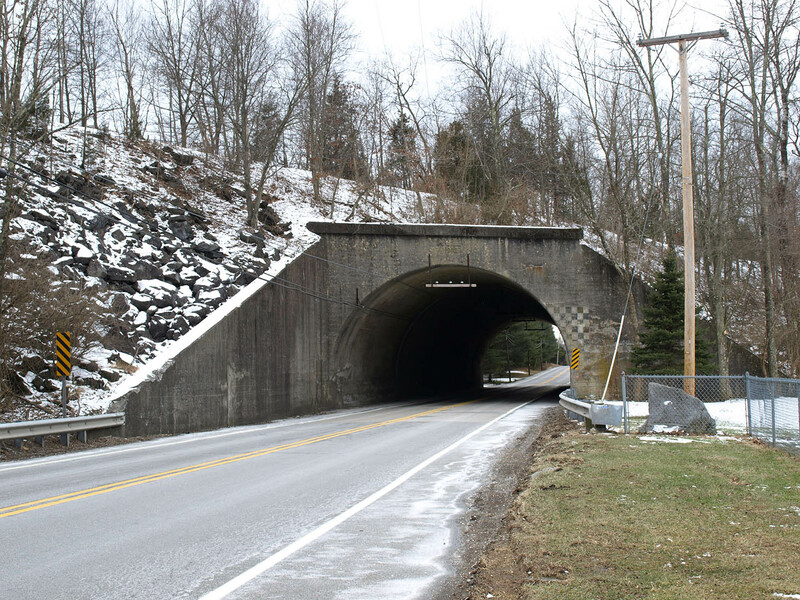 The tunnel at Route 94 is marked at the top of the arch with the year 1909. A second tunnel nearby is now a park passageway. 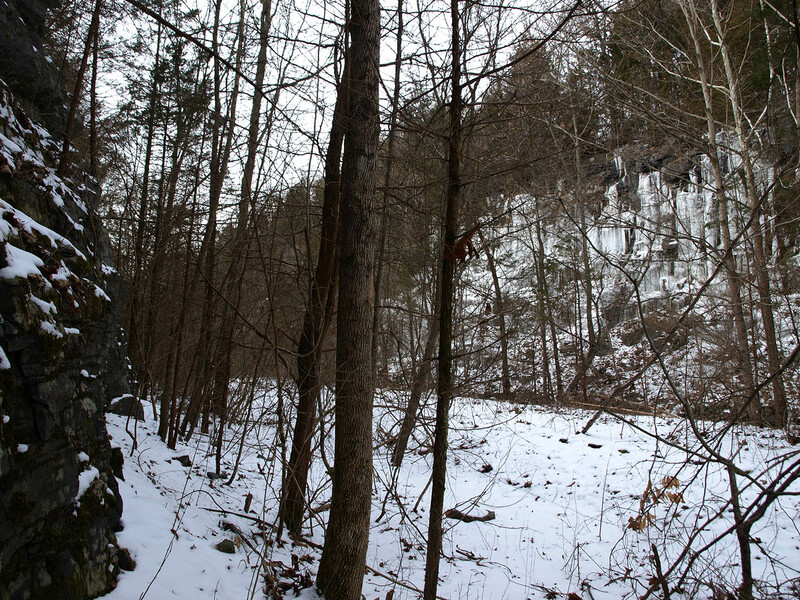 The rail bed also cut through hilltops. The tracks crossed the Delaware River into Pennsylvania at the 1450 foot-long Delaware River Viaduct, which Interstate 80 travels underneath. 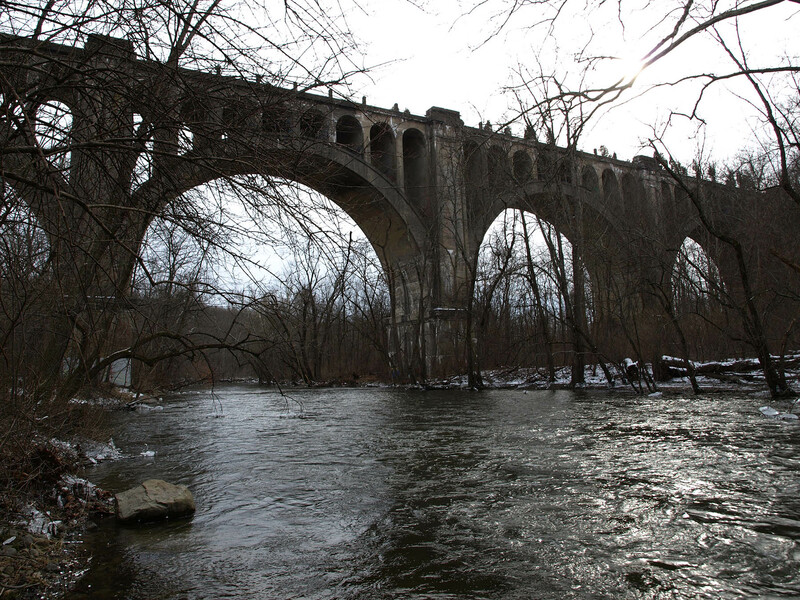 The Delaware River Viaduct was completed in 1909. 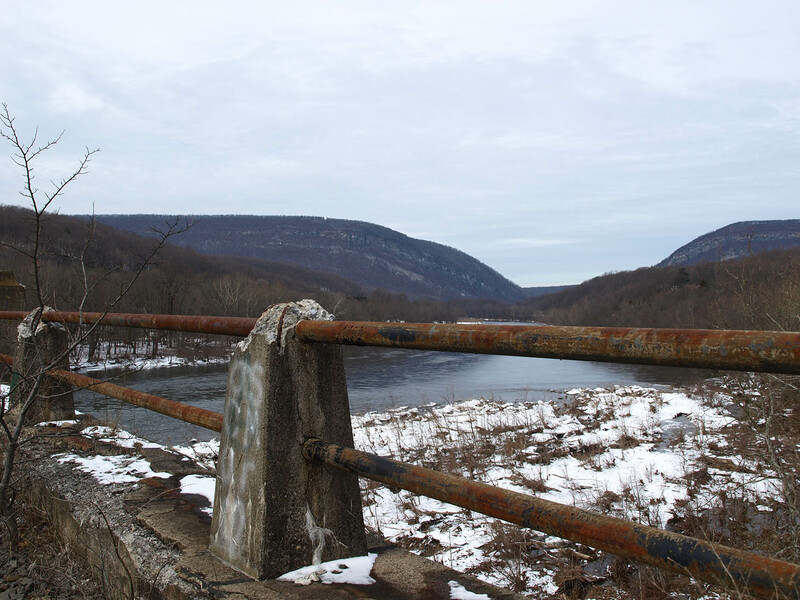 At its western end, the railroad curves sharply north and joins other tracks to go through a gap in the Kittatinny Mountains along the Delaware River. Maybe one day the Lackawanna Cut-Off will again be topped with steel tracks and feel the rumble of passing trains. Hopefully space for a pedestrian walkway can be made if that happens. 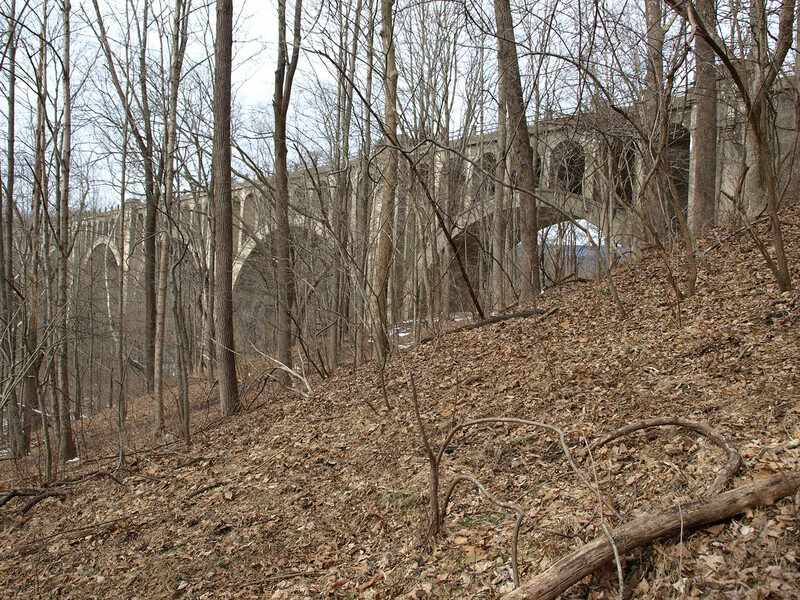 In the meantime, its viaducts offer the traveler a glimpse into what people once did to make a straighter railroad. Casey, Robert J. and W.A.S. Douglas. The Lackawanna Story: The First Hundred Years of the Delaware, Lackawanna, and Western Railroad. New York: McGraw-Hill, 1951. Cunningham, John T. Railroading in New Jersey. 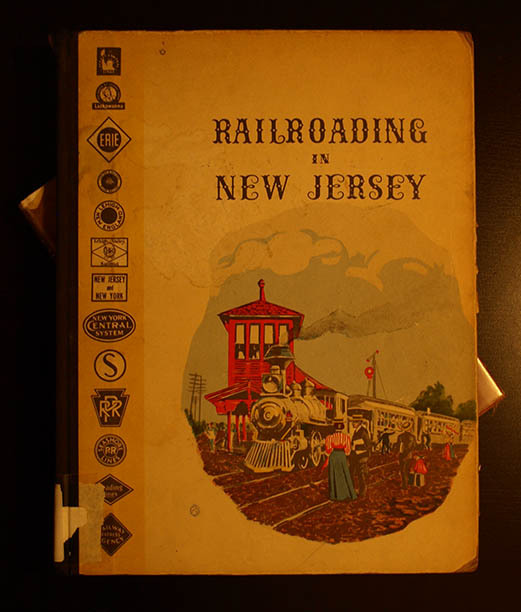 Associated Railroads of New Jersey, 1951. 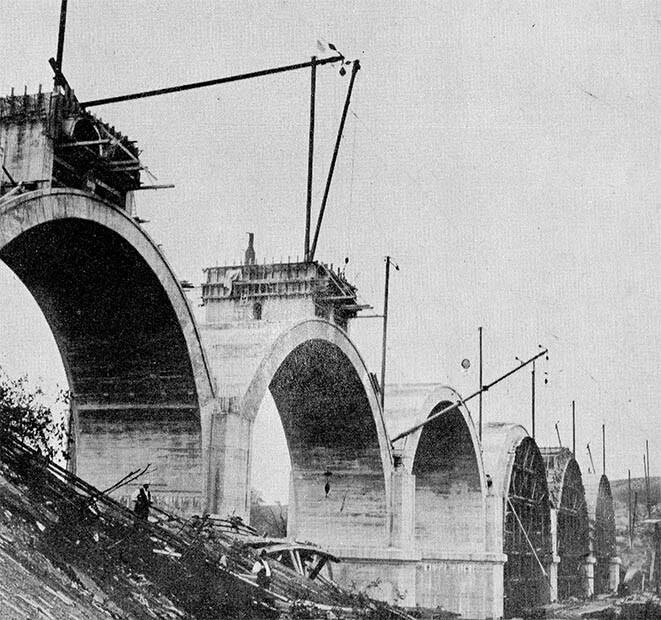 Photo of viaduct under construction is from Cunningham’s book. Richman, Steven M. The Bridges of New Jersey: Portraits of Garden State Crossings. New Brunswick, NJ: Rutgers University Press, 2005. Thank you so much for posting this. Great work!